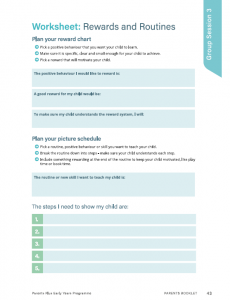 Parent Information – Parents Plus! I’m mum to one fabulous, fun, energetic and exhausting girl…. I’m mum to one fabulous, fun, energetic and exhausting girl…. I used to shout and nit pick daily….. I used to shout and nit pick daily…..
“I used to shout and nit pick daily. That’s all stopped now thanks to the course and excellent instructors and the open and honest environment created in the course”. 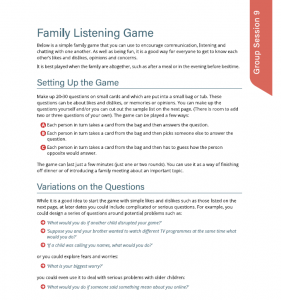 Our parenting tips are developed using content from the Parents Plus Programmes. Please feel free to download them and use them at home. 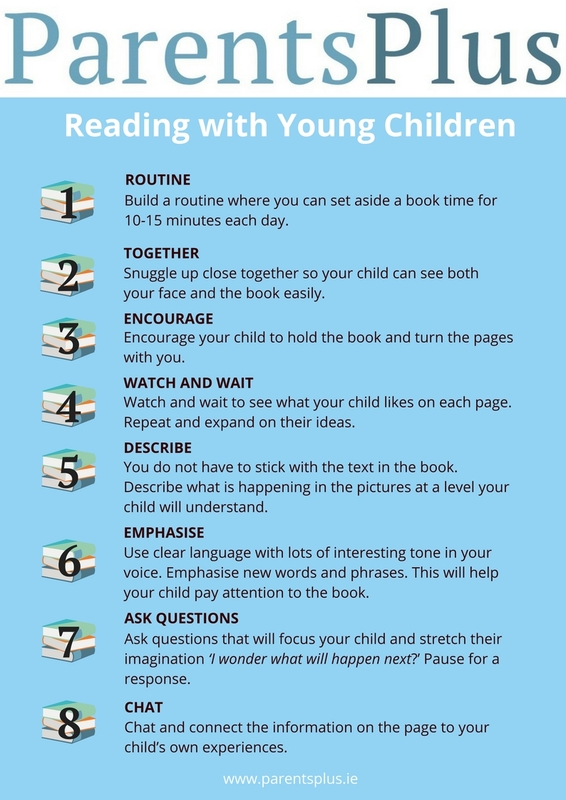 See list of parenting books that draw on the ideas of the Parents Plus Programmes and which are available in most bookshops. 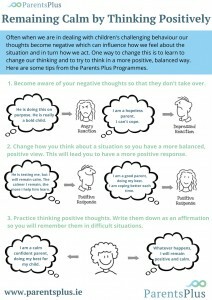 See www.solutiontalk.ie for information on parenting advice/talks/ courses by John Sharry of Parents Plus. 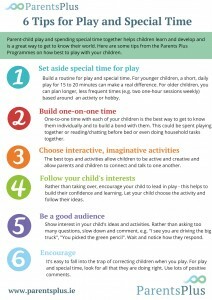 Irish Times Parenting Articles and Features by John Sharry of Parents Plus. Pause to breathe joy into parenting – article on the Parents Plus programmes in the Irish Times, written by Sheila Wayman. 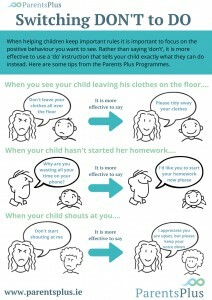 You can also view the whole article on the Parents Plus website here. Links to videos and podcasts with parenting, mental health tips and advice from John Sharry of Parents Plus. There are many services available that can provide parenting support, counselling and advice to families. Please find a list below with further details. The links in this document are to external sites which may be of interest to parents visiting the website. These external sources are outside of the control of Parents Plus. It is the responsibility of internet users to ascertain the accuracy and reliability of information found. While care is taken to provide links and accurate information to relevant and useful content, we cannot guarantee the operation of external sites or links from these sites. We do not endorse products or services provided by others. There are also some organisations and services that might not be included on this list; this list is a suggestion of some other services that are available to parents but it’s not exhaustive. Family Lives is a UK service dedicated to supporting parents in building positive relationships with their children. It provides a 24 helpline, online tips and parenting/relationship support groups. Address: Family Lives Head Office, The Broadway, Hatfield, Hertfordshire, AL 5HZ. Offers services and support to one parent families including training, education and a confidential helpline. Address: One Family, Cherish House, 2 Lower Pembroke Street, Dublin 2. OnePlusOne works to strengthen couple and family relationships by offering online services to help couples and parents help themselves. Confidential helpline for parents under stress or who are worried about any aspect of their parenting. Address: Parentline, Carmichael House, North Brunswick Street, Dublin 7. 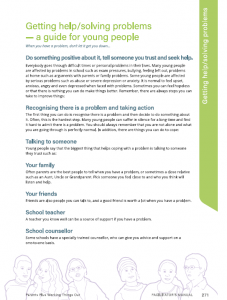 An online resource which provides practical advice on the challenges facing parents. Chat forums are also available. Supports people parenting alone through the provision of a wide range of information including, family law, child education and monetary matters. Promotes the rights and best interests of unmarried parents and their children and provides free information and referral services regarding pregnancy, counselling, social welfare, and legal rights. Address: 14 Gandon House, IFSC, Dublin 1. Offers support for couples and individuals in their marriages and relationships. Address: Central Office, Columba Centre, Maynooth, Co. Kildare. Relate is the UK’s largest provider of relationship support and provides information on local counselling services. Offers a wide range of services for children, families and communities. 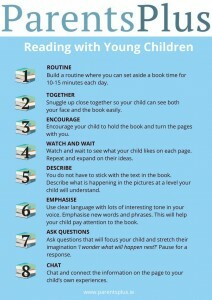 Address: Barnardos Library and Information Service, Christchurch Square, Dublin 8, Ireland. Offers a wide range of services for children, families and communities in the UK. Address (registered office): Barnardos, Tanners Lane, Barkingside, Ilford, Essex, IG6 1QG. 18 years, a website with information on a range of issues such as,separation, bullying etc. Childline offers a free, private and confidential counselling service for young people up to 19 years. It has a free phone helpline, an email service and an online chat service all available 24 hours a day. The HSE provides health and social services to everyone living in Ireland. It offers a range of free services to children experiencing emotional or behavioural difficulties (e.g. Adolescent Mental Health Services). In order to access these services, referrals are usually sent by GPs. For information on the appropriate HSE service in your area please contact your GP. An organisation working to change how Ireland things about and responds to mental health of young people aged between 12 and 25 years through research, youth and community engagement, education and training. The NHS provides health and social services to everyone living in the UK. It offers a range of free services to children experiencing emotional or behavioural difficulties (e.g. Adolescent Mental Health Services). In order to access these services, referrals are usually sent by GPs. For information on the appropriate NHS service in your area please contact your GP. 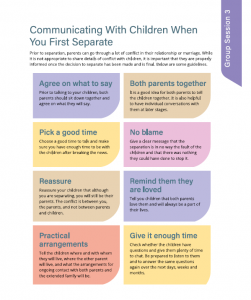 The NSPCC (National Society for the Prevention of Cruelty to Children) provides information about what happens during separation and divorce and gives advice about how to cope. The Rainbows programme supports children and young people, and parents who have experienced loss through death, separation or divorce. The service is available in local communities throughout Ireland. Address: Rainbows National Office, Loreto Centre, Crumlin Road, Dublin 12. Relate is the UK’s largest provider of relationship support and provides information on local counselling services for children and young people. 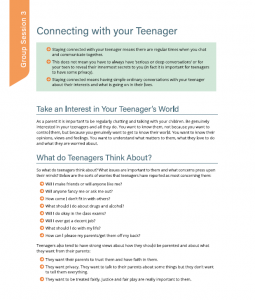 A counselling service, run by Relationships Ireland, to help children between 12 and 18 years cope with their parents’ separation or divorce. Address: 38 Upper Fitzwilliam Street, Dublin 2. Offers support, information and a voice for children and young people who have been affected by parental separation. The website contains stories from young people who have experienced parental separation and links to talk to other young people/experts for support. The Family Resource Centre (FRC) programme is Ireland’s largest national community based family support programme, with over 100 FRCs situated in communities throughout Ireland. The aim of the FRC programme is to combat disadvantage and to strengthen and empower children, families and communities. There is a list of all local family resource centres on the Tusla website (listed below). Services, Floor 5, Brunel Building, Heuston South Quarter, Dublin 8. A free family mediation service is provided by the Legal Aid Board to help separating couples and parents whose relationship has broken down to negotiate their own agreement. There are a number of mediation offices around Ireland. See the webpage list below to find a mediation office near you. Offers services for people affected by depression in Ireland including a confidential phone line service. Address: Aware National Office, 72 Lower Leeson Street, Dublin 2. The HSE provides health and social services to everyone living in Ireland. It offers a range of services to those who are experiencing mental health difficulties, including, anxiety, depression, psychosis etc. Services include Primary Care Psychology and Community Mental Health Services. Should you be concerned about your mental health, please contact your GP for information and referral to services in your area. An international service dedicated to preventing suicidal behaviour, alleviating the effects of suicide and providing a forum for academics, mental health professionals, crisis workers, volunteers and suicide survivors. See the link below for contact details of crisis centres in countries across Europe. 1966 as the Mental Health Association of Ireland. MHI’s aim is to promote positive mental health and wellbeing to all individuals and communities in Ireland. They have a network of 92 Mental Health Associations throughout the country, all led by volunteers. Their Mental Health Associations fundraise to organise outings and events for those struggling with mental health in their communities. Community Mental Health Services. Should you be concerned about your mental health, please contact your GP for information and referral to services in your area or see the NHS website to search for services by location/postcode. Pieta House provides a free, therapeutic approach to people who are in suicidal distress and those who engage in self-harm. They offer support and advice for people who may be experiencing suicidal thoughts and offer support to their friends and families. They also offer free phone number for anyone who is in distress and needs someone to talk too. Tel Freecall: 1800 247 247 or you can simply text HELP to 51444. Confidential helpline and support for people who are in distress. Address (Ireland): Samaritans Ireland, 4-5 Usher’s Court, Usher’s Quay, Dublin 8. Address (UK): Freepost RSRB-KKBY-CYJK, PO Box 9090, STIRLING, FK8 2SA. ReachOut.com is an online youth mental health service. It helps young people through tough times. Emphasis is placed on peer support and the principle that we all know someone going through a tough time. They engage in a space natural to most of young people now – online. The aim of the Healthy Eating Planner is to encourage people to cook quick and easing meals using eggs and other fresh ingredients. Nutritious recipe ideas for seven days of cooking are included, along with tips on shopping lists, healthy food options for children, what to look out for on food labels and novel ideas for healthier desserts. This website provides a variety of information on healthy living – from tips on exercise and healthy eating to research and information on NHF events and initiatives such as workplace wellbeing. Provide a range of services and supports for people with disabilities, whether they are babies and toddlers, school children, teenagers or adults. Council on Quality & Leadership providing a wide range of residential, respite and day services to almost 400 children and adults with an intellectual disability and to their families in Cheeverstown Centre and throughout various community locations. Enable Ireland provides services to children and adults with disabilities and their families from 40 locations in 14 counties. HADD is an organisation in Ireland made up of volunteers – parents of children with ADHD, individuals with ADHD and professionals. Mayo Early Intervention Service provides services and supports to children and their families in County Mayo where the child “presents with delays in two or more areas of motor, cognitive, communication and sensory function, and who have complex needs requiring on-going team based interventions”. Special Needs Parents Association exists to support all parents of persons with special needs and disabilities irrespective of age or diagnosis, by promoting on a national level, improved treatment, education, welfare and acceptance for our children. The Childhood Development Initiative (CDI) works with organisations which commission services in the children, families and communities sector. We provide practical, handson ‘know how’ in how to design, deliver, adapt and evaluate high quality, effective interventions. Children and Young People’s Services Committees are responsible for securing better outcomes for children and young people in their area through more effective integration of existing services and interventions. (VCOs) work together locally and nationally to assist over 4,400 early education and childcare service providers improve the quality of their services. This is a multi-agency forum that was established by the HSE in 2009. Committee to look at Parent Support Needs in County Donegal. Parenting Monaghan brings together agencies from across the County to co-ordinate parenting programmes and supports. We aim to offer regular parenting programmes ranging from pre-natal to 18 in five locations throughout County Monaghan on an annual basis.